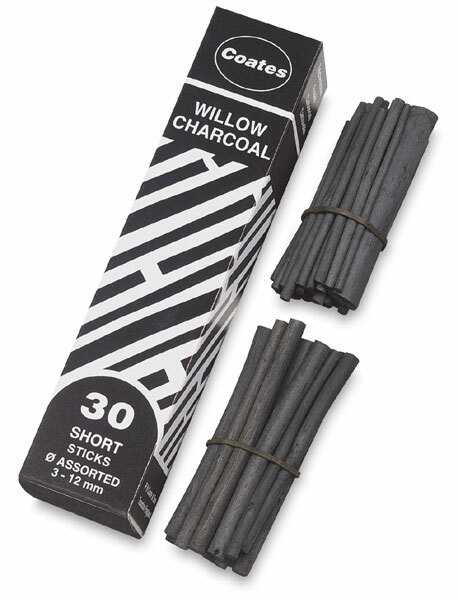 Percy Coate, the developer of Coates Willow Charcoal, began experimenting in the 1960s with the willow he grew to make drawing charcoal. Following in the steps of his grandfather, Robert Coate, who bought and sold local willow crops beginning in 1819, Percy Coate worked on his technique for a number of years before perfecting it. By the 1970s, he was finally ready to share Coates Willow Charcoal with the world. Today Coates is still very much a family business, with family members involved in all aspects of the operation. The willow plant used for making artist charcoal grows very quickly, ready for use after only one growing season. The process that turns raw willow sticks into willow charcoal, a simple yet indispensable tool for fine artists, takes three days. For many years, Coates Willow Charcoal has been recognized as the best-quality charcoal in the world. Coates Premium Artist's Willow Charcoal is available in five sizes.